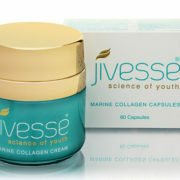 Look and Feel Good with this 1 month supply of Jivesse Marine Collagen Cream & Capsules. 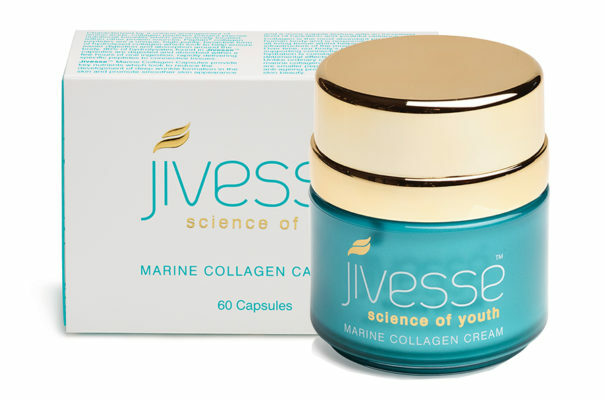 The Cream will target signs of ageing from the outside by minimising the appearance of wrinkles, firming and tightening skin and increasing luminosity. 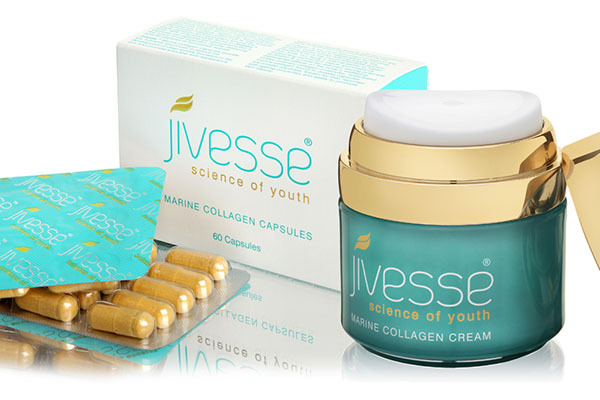 The Capsule will rejuvenate skin cells, increase collagen production internally and improve skin hydration. This is a great deal and it encourages you to stick to the routine. I look and feel great! 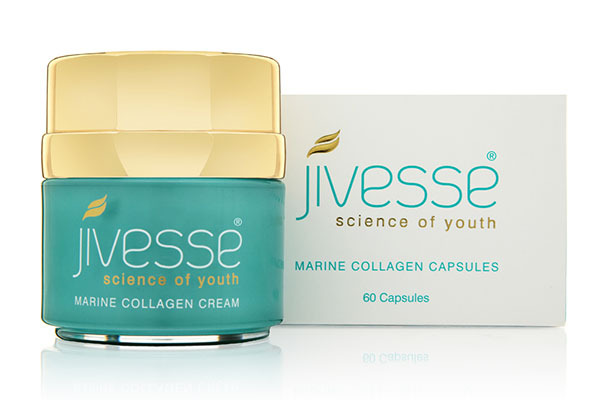 Ive read you should start using anti-ageing products in your twenties; as I turned the big 2-0 this year I thought it would be a good excuse to test out a few new products. 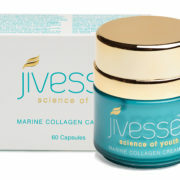 The latest skincare item Im trialing is the Jivessa Marine Collagen cream…so far so good!! An excellent way to treat yourself! 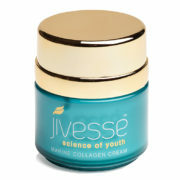 A pot of Jivesse Creme lasts me on average 1-2 months so is good value for money and a twice-daily treat. My skin has improved since using it and feels softer to the touch immediately on application. It has a lovely smell too and I love the ritual of warming the cream in my hands before applying it. After having been given a sample of the cream to try I was hooked…and then also tried the capsules, they are a great combination and have truly made a massive difference to the appearance of my skin. 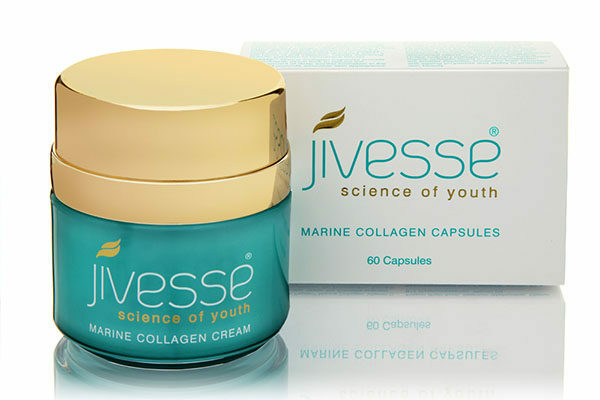 This is the best product I have ever purchased and although expensive it does last a long time. My skin has never felt so good. 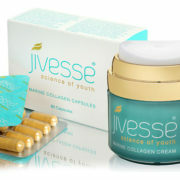 I love this skincare regime and this is the second one I have purchased. It is expensive but worth every penny. 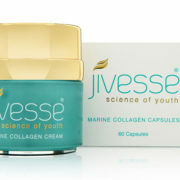 Brilliant product, noticed results after couple weeks. Highly recommends this product.